I love living in the city, but let’s face it, everyone has that moment where they need to get away from the hustle and bustle of their busy life and embrace a moment of quiet. 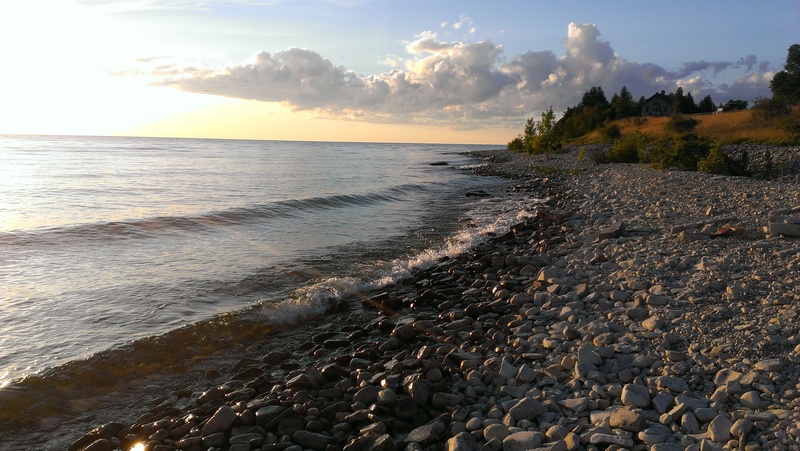 For the past 28 years, my family has been making the trek to the tip of the Door County Peninsula, hopping on a boat to Washington Island, slugging our camping gear onto a smaller boat and getting away from it all to the 912-acre island known as Rock Island State Park. Now, everyone has their own definition of camping. Some people say it’s throwing everything you use on a daily basis, from your three favorite blankets to your iPad, into your car, driving to a campsite and pitching your tent right next to the driver’s seat. Others say it’s grabbing your Swiss Army Knife and a clean pair of socks and trudging through the woods until you’ve found the perfect spot to forage for berries and a dry spot to sleep. I’d say camping Rock Island style falls somewhere between the two. Rock Island State Park is the perfect camping destination; it’s close enough to civilization in case of an emergency but far enough away that it offers enough seclusion to unwind and forget about the craziness back home. With no electricity, showers or vehicles on the island, campers will experience life without modern technologies (trust me, it’s liberating). 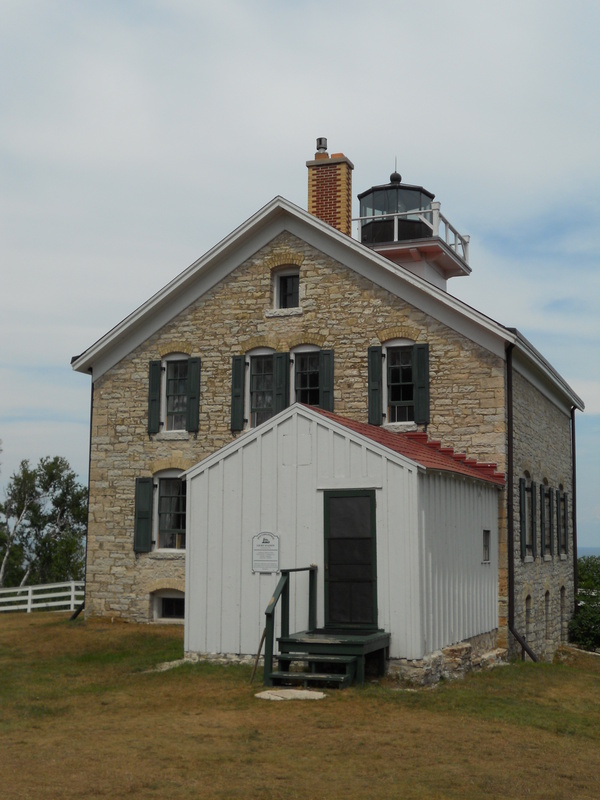 The picturesque island offers hiking trails, beaches, beautiful stone buildings filled with history and the Pottawatomie Lighthouse, Wisconsin’s oldest lighthouse. A camping trip to Rock Island takes some planning, but the payoff is well worth the effort. So, what should you do to get the best experience? Here are few tricks to help you plan your next camping trip to Rock Island. The end of July through August is a great time to visit. I’d suggest planning a weekday trip over a weekend. In recent years, the popularity of the island has attracted many day visitors, so you could end up sharing the beach or a trip to the lighthouse with a lot of other people. If you do camp on the weekend, don’t worry! If you plan your excursions just right, you’ll avoid the busy day-tripper traffic and still feel like you’re the only one on the island. The other great thing about visiting in the later part of summer is the weather is usually pretty nice, and by that time Lake Michigan and Green Bay have warmed up somewhat, so those morning showers in the water are more tolerable (I mentioned there are no showers on the island, right?). The best way to reserve a campsite is through Wisconsin’s DNR State Park Systems website or ReserveAmerica. Reservations can be made for camping up to 11 months in advance. So, if you’d like to reserve a highly sought-after campsite, your best bet is to reserve the site on the first day booking is available. Trust me, with only 40 campsites available, they reserve fast! You really can’t go wrong with any site you choose. 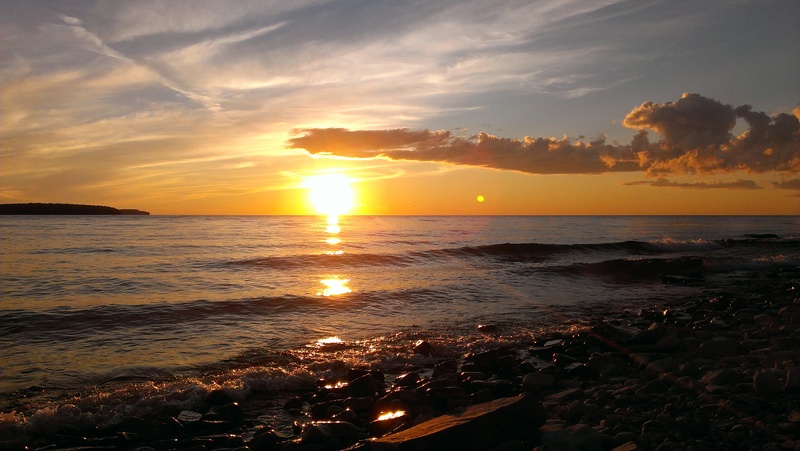 There’s so many different options: sites right on Green Bay or Lake Michigan, sites tucked away in cedar trees, two large group sites and even five sites located farther away from the rest of the sites for an even more secluded experience. Regardless, the sites are spaced out nicely so you’re not on top of your neighbors. One word of advice: avoid campsite #34. Let’s just say it’s right next to one of the pit toilets, and if the wind blows just right, you won’t be spending much time at the site. Getting to Rock Island requires two ferry rides. 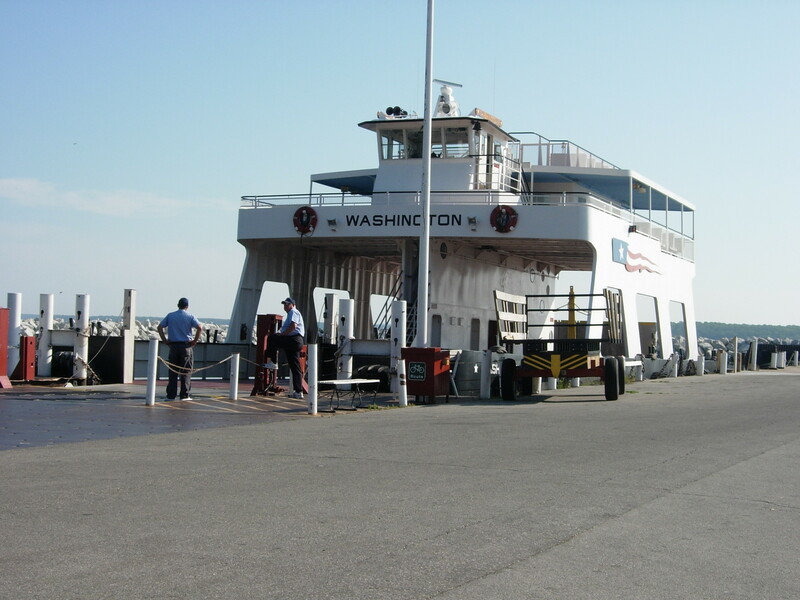 The first boat ride is on the Washington Island Ferry to Washington Island. From there, you’ll drive to the other side of the island and leave your car there to take a passenger-only Rock Island Ferry to Rock Island. Make sure you check ferry rates and times before your trip. They vary depending on the season, and you don’t want to miss the boat! Pack Light and Bring Cash! The #1 thing to remember when packing… don’t bring anything you don’t want to carry a half a mile to a mile, because that’s how far it is from the boat landing to the campsites. The best thing you can do when planning your trip is to make a list of essentials to pack. Organize by kitchen, equipment, food and clothing. And always plan for inclement weather. Also, don’t forget to bring cash! There’s a spot on the island to purchase firewood, and they only accept cash. If you don’t bring any, you won’t be making a fire. You could take the boat back to Washington Island to get cash, but you’ll end up having to pay another boat ride fee to get back to Rock Island, and who wants to do that? So, you’ve arrived and set up camp. Now what? Relax! Take a hike! Go for a swim! Enjoy the slow-paced, peaceful experience Rock Island has to offer (the sunset alone is worth the trip). Sure, you might not be able to surf the internet, catch up on the latest episodes of The Walking Dead or drive to local stores for shopping, but a trip to Rock Island is a chance to enjoy the outdoors, spend time with family and friends and truly clear your mind and recharge for a brief moment. 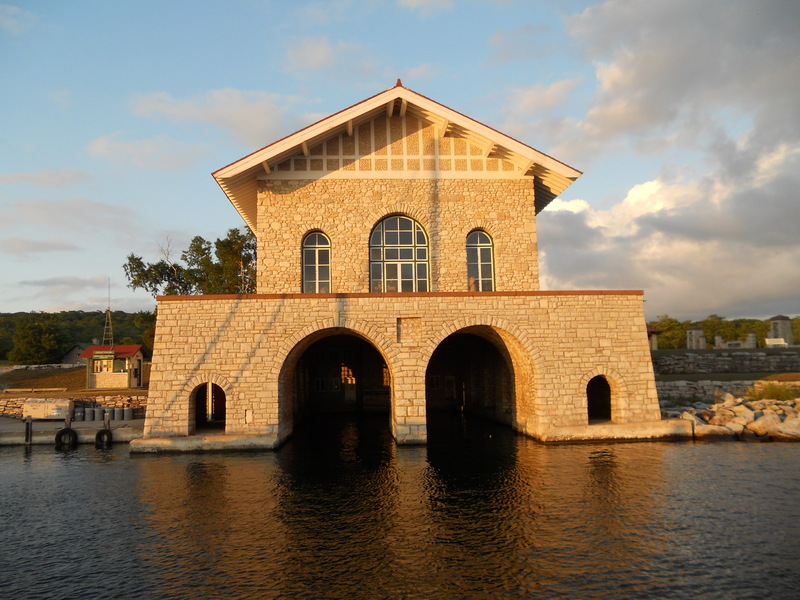 For more information on Rock Island or tips and tricks to plan your trip, visit these sites below. Sarah Rentmeester is a professional copywriter with eight years of experience in retail marketing and advertising. She received a BA in English with an emphasis in creative writing from the University of Wisconsin-Green Bay. Sarah finds inspiration in pop culture, music, fashion, art and everyday life that’s happening around her to write effective copy for print and digital media. Born and raised in Green Bay, WI, she currently resides there with her husband and Boston terrier, Frodo. ← Welcome to Social Media Content Management! Your journalism expertise shines through in this blog! Thanks for giving us excellent advice for a lovely vacation. Also, your insider tip (campsite #34) is much appreciated! Was your photo taken standing in the lighthouse? I now know one place I will be camping this summer! Your post was amazingly written and full of great tips. Thank you so much for sharing! So happy to hear I convinced someone to check it out! Thanks for the great comments! I LOVE camping and have visited most places in this state, bit not Rock Island. I have, however, been to Washington Island 2 times; once for work, and once for play. I guess I’ve never really heard much about Rock Island State Park (until I read your blog that it) and it seems like it’s well with the time and a rewarding experience!